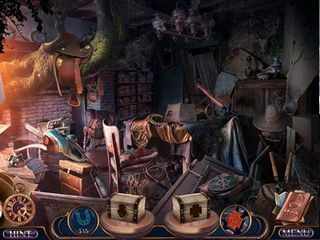 Grim Tales: Threads of Destiny Collector's Edition is a new release into the Grim Tales series that is well known among the hidden object puzzle adventure genre fans. Elephant Games didn't let the fans down with this new addition to the series - the quality standards are high! 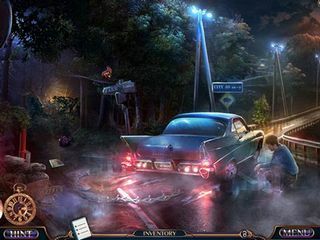 The game is must for those who love intiguing stories and challenging searches for more details. The first scene the game begins with is quite touching as you observe the tragedy of a plane crush. They did a really great job with the music and colors both for this scene and the rest of the game. Those slow piano tracks promote emotional response as you get more and more involved with the story. You are going to have to pick up a lot of inventory some if which is going to make you wonder if you youare ever gonna use it! No worries - you will ase all of that eventually. Pay close attention to the items to collect all the morphing objects and the collectibles both in main and bonus games. 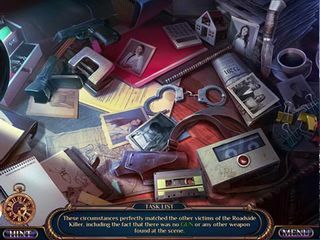 The hidden object scenes are all abit different allowing you to not get bored with endless searches. The mini games are quite challenging, and the puzzles seem to be easier. The puzzles include matching, moving, counting and much more. The colector's edition offers a map, a strategy guide, a number of achievements to earn as well as all the music and graphics extras. You are going ot spend a lot of time in teh dark creepy places searching for keys to the events of the past. This game would be fun for the HOPA fans but in a bittersweet way. This is Grim Tales: Threads of Destiny review. Download this game here.